12pm - 6pm Every Day. 8pm - 11pm Every Day. Reservation REQ. Events@wearecaboose.com for all events inquiries. The Caboose team has catered for between 100-450 guests for numerous events. We are able to use our own kitchen and transport food over to you, or use your kitchen, although as we smoke all our food for 10-12 hours unless you have a smoker the first option might work best. 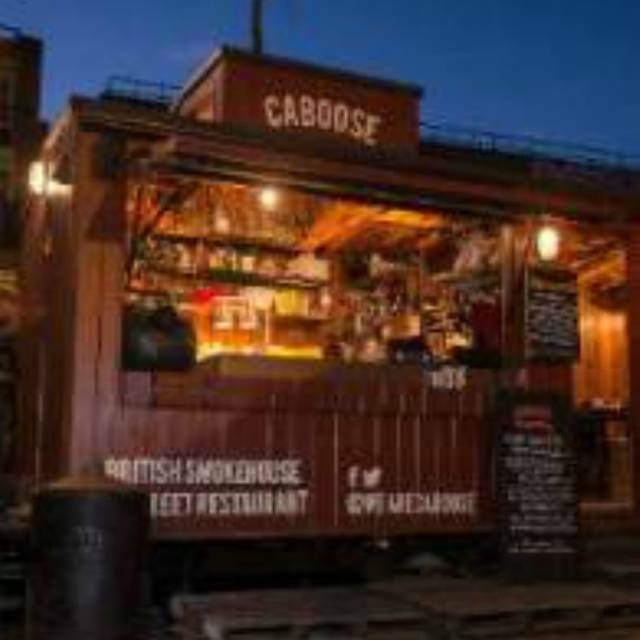 We are also able to transport the Caboose to weddings, festivals & other events should you so wish. The Caboose sits an absolute minimum of 8 people and a maximum of 13 people. 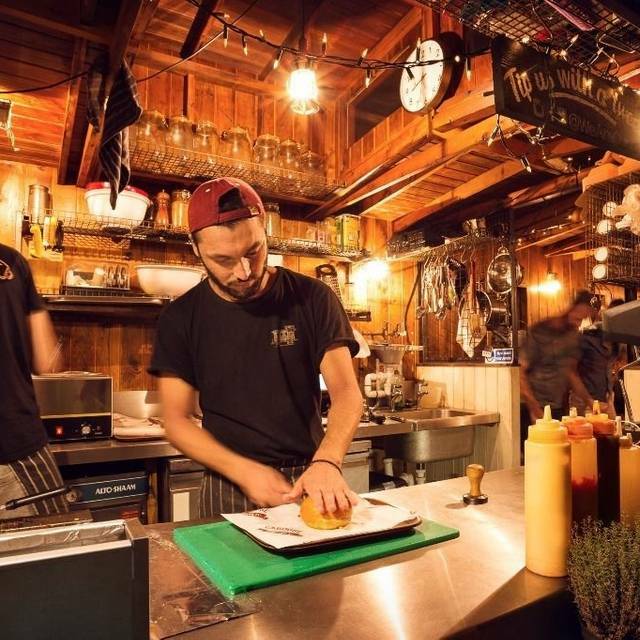 The way it works is it's £35 per head, fixed 3-courses and it's BYOB. We charge a £5 corkage per drinker as a nominal fee. We put an ice chest by the door for you to put all your drinks in and you can just help yourself but we do have extra fridge space if you're especially inclined! For birthdays we usually decorate the place with balloons and other bits and bobs at no extra cost but you're welcome to decline that if you wish. Then just show up, we batten down the hatches and the place is yours for the evening while we cook in front of you in the kitchen. We have a strict curfew of 11.15pm. Please EMAIL us at bookings@wearecaboose.com if you have any questions whatsoever! Booked this for a birthday, if your looking for a really chilled funny vibes all round it's great for a close bunch of you, whilst in your own comfort cosy with your choice of music and the ability to take your own drinks. The staff were so pleasant and made it that 100%. Loved it highly recommend. Was a lovely experience and a lot of fun to have the cabin to ourselves, just couldn't quite get over the cost compared to what you would pay for the same food from the van during the day. And hadn't fully realised this was essentially eating from a street food van...smart use of the space though! 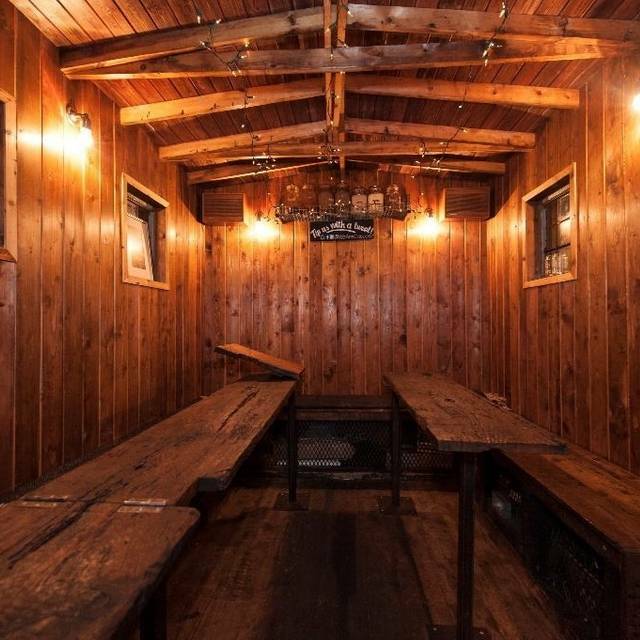 Really good burger in this cosy caboose. Chef are really nice guys, overall had a great experience with them. Highly recommended. I had a great birthday. The food was amazing, and just the right amount. Actually i couldn't finish my brownie i was just a tad full. The guys who run the show were so accommodating, friendly and could not do enough for you. I'd recommend this to anyone! Celebrated my 21st birthday with 10 friends at Caboose and I could not recommend it enough. All three courses were delicious and at £25 a head it was such good value. The staff were so friendly and welcoming and made sure we all had a great evening! Will definitely go again.